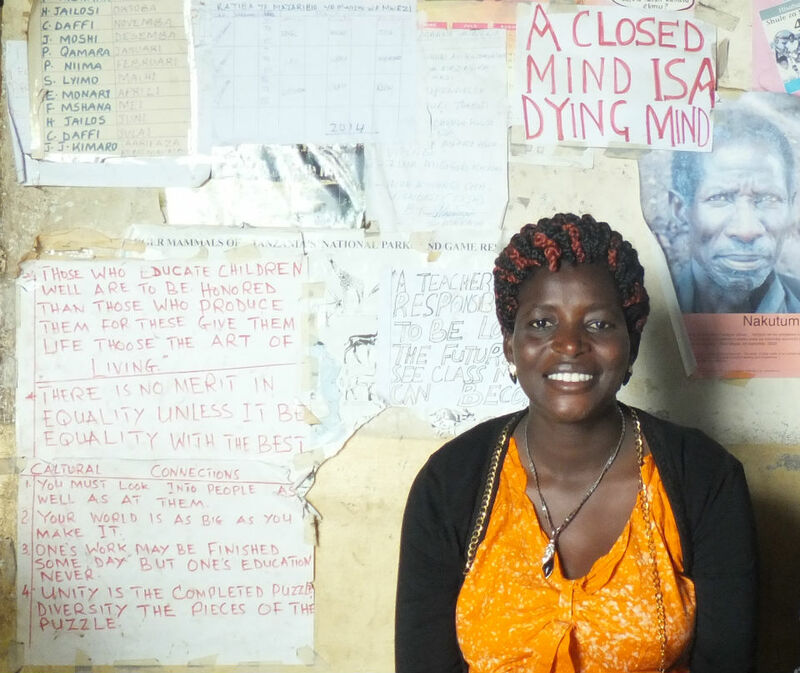 Resi ran away to school to escape a forced marriage. She now teaches young Maasai girls. As soon as I went to school I knew that education would change my life. My whole life I have wanted to learn. Before I went to school, I used to ask: “How do I write my name?” But I had no idea of the struggle I had ahead. My father died when I was three, leaving my mother with no income. Every day I loved my lessons. When I came home I would wash, and my mother would say: “You are always thinking of school”. When I woke, the first thing I did was look through the windows to see if it was light enough to walk to school. But when I was still in primary school, a man came to my house and asked my family if he could marry me. I was very shocked and scared. I did not want to marry when I was still a child so I ran away to school and went to live with my teacher. My uncles wanted me to be the man’s wife and threatened my mother, who came to my school and begged me to come home with her, saying she would be killed if I did not return. But the teacher and a local priest told my family that they would call the police if my mother was harmed or if they tried to take me out of school. My grandfather also told my uncles to leave my mother alone, and they did because they were scared of him. I passed my exams and went away to secondary school. But I was always thinking of my poor mother at home. It was hard. I had very little money and couldn’t afford the bus fare home to visit. Then my grandfather died. Again my uncles came and demanded that I leave school and marry. They wanted me to sleep with the man they had chosen so that he would get me pregnant. I was so frightened. I couldn’t eat or sleep. In the end I went in tears to my teacher and she helped me by asking the education officer to demand that my family let me continue my studies. After I finished school a tourist came to our village looking to sponsor an educated girl through teaching school – and they chose me. I worked hard and after several years of teaching I got a job with the Pastoral Women’s Council. This is the right place for me to be. Now, when I talk with girls, I tell them about my background. I tell them they have to be strong, and I give them techniques to escape early and forced marriage. I am a mother myself now, and I am determined my children – and all the Maasai children – will not suffer like I have. More information on our work with the Pastoral Women’s Council here.